At Kemnay Pharmacy we believe in patient choice - we have long championed the use of Complimentary Medicines as part of your ongoing health journey. We have an extensive selection of carefully chosen product to meet your needs. 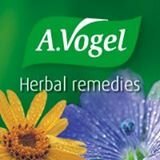 Phytotherapy - we endorse the Vogel Brand in this sphere - with licensed products to treat: Anxiety, Cold Sores, Hayfever, Joint Pain, PMS, The Menopause, Benign Prostate Hyperplasia (BPH), Varicose Veins among others. Our best selling product, and one used by our staff, is Echinaforce - an extract of Echinacea purpurea which is particularly useful in the cold season as it helps support the immune system. 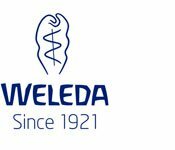 Homeopathy - we stock an extensive range of products by Nelsons and Weleda and are happy to assist in your product choice - we can obtain specialist requirements at short notice. 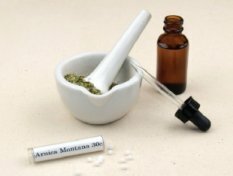 Arnica montana is probably the most widely recognised and used homeopathic product - supporters of this product believe it to be beneficial in the treatment of bruising, wounds and swellings and as an aid to alleviate post operative trauma. Bach Flower Remedies - a selection of these popular essences are available to help manage the demands of everyday life - prepared to Dr Edward Bach's original specifications. Rescue Remedy in its distinctive yellow packaging - a special combination of five essences is the top selling product and is trusted and safe way to help restore inner calm, control and focus when facing life's daily stresses. Aromatherapy - we have a wide choice of high quality organic essential oils by Tisserand and Balance as well as an extensive range of toiletries based on the oils. Lavender is the most recognisable essential oil and used widely in preparations for its soothing and restful properties. We also stock a broad range of alternative products to help treat joint pain, eczema and dermatitis - so come and discuss your health needs with us.